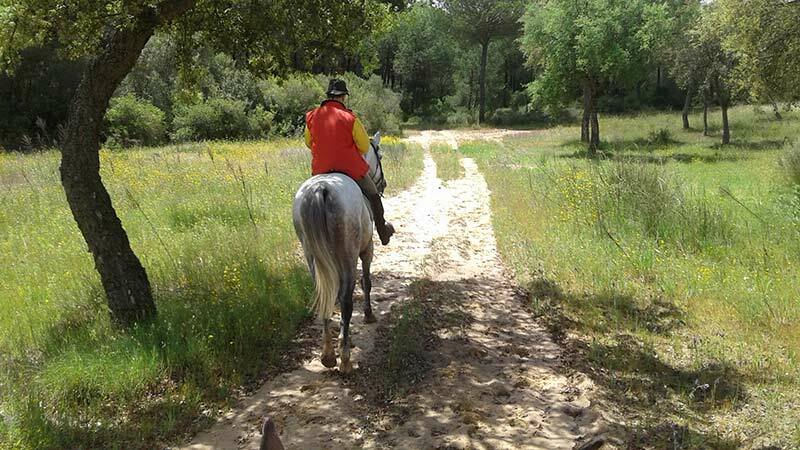 I always try to squeeze in a few horse riding holidays in Spain into the Doñana Park before the Andalusian summer sun makes riding all day impossible. 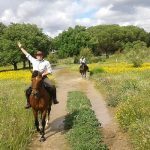 The spring rains have ensured that the countryside is lush and green, and that the lakes within the park are bursting with water and wildfowl making May a great time of the year to enjoy this riding holiday in Andalusia. I was joined by a group of Mallorcan men who are horse-mad and partial to galloping and a refined group of English women, one of whom sits in the House of Lords. My dear friend Simon McIntyre from Norfolk also came along. On the first full day of the ride, our horses were transported by lorry in advance to the ancient Hacienda de Torrequemada built by monks returning from the New World. Myself, Simon and the ladies set off first and spent a lovely morning riding through open countryside, chatting and getting to know one another better as well as forming relationships with our horses. After a few hours we made it to a pine copse where Jose Maria and Alberto had prepared a lovely table laden with Spanish ham, olives and cheese. 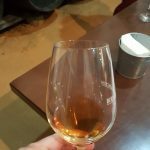 We dismounted and were handed each a glass of fino. Shortly after, we were joined by our Mallorcan riders who were all in high spirits. 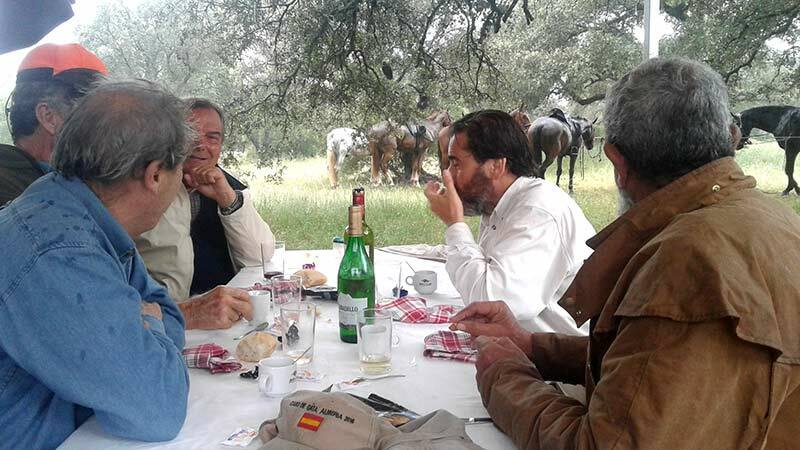 We continued our ride arriving to the perimeter of the Doñana Park and had a lovely lunch by the cork oaks in a beautiful Dehesa. There was not a person to be seen, and the only noise, apart from our laughter, was the soporific sound of a cuckoo calling. Late that afternoon we arrived at the Lodge where we were to spend the night and have dinner. This is a hotel in the park close to where the horses were stabled. The next morning we set off riding again in two groups. 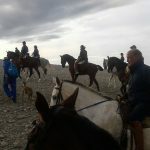 This time the ladies were riding with Alfonso, the owner of the horses, and I rode with the Mallorcan group and Simon. Alfonso spent the morning charming his ladies and I enjoyed myself with the Mallorcans, although they were quite difficult to control! We had a beautiful ride as we made our way deeper into the Doñana following the pilgrim trails leading to the town of El Rocio. 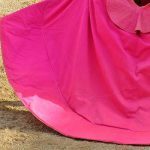 At some points we were riding deep through flowing streams and at other times we went cantering along the miles of sandy tracks , all the riders now feeling confident and invincible on their mounts. 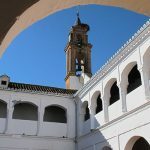 That evening we spent the night in El Rocio itself, an unusual town full of sandy streets reminiscent of a wild west film set. Each house has a hitching post in front for the horses as do all the bars and restaurants. The following day as Alfonso set off ahead with his group of English ladies, “Conde” the Mallorcan Count riding in my group, invited the rest of us to a typical El Rocio bar. Here we enjoyed several glasses of fino and plates of cooked prawns all served to us on horseback by the most amazing waiter who kept on shouting “Viva el Conde” (long live the count). This worked a treat, as an animated Conde was galvanised into buying us more and I cannot resist the prawns they serve here. 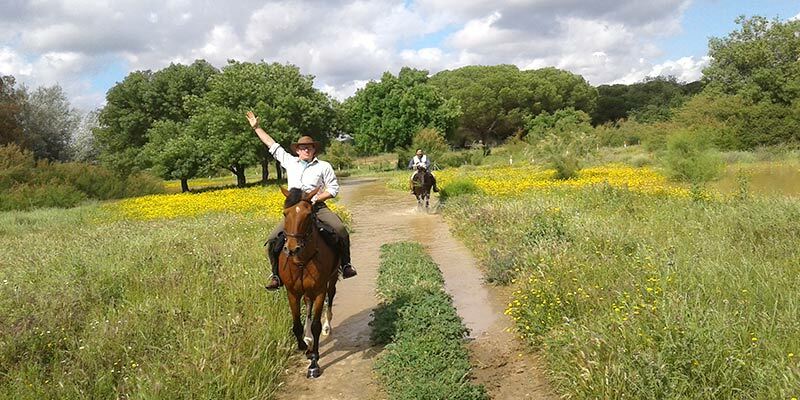 Loosened up by all the sherry, we merrily rode through the streets, making our way along the wide, sandy trails to “Coto del Rey” an old hunting lodge dating back to the 13th Century that once belonged to Spanish royalty who would hunt deer and boar in the surrounding park. In the countryside overlooking the lodge we enjoyed a typical Spanish lunch of chickpea stew served with chorizo, pork and lots of rioja wine. We then rode on for another hour or so to the lorries that were waiting to take our tired horses back home. 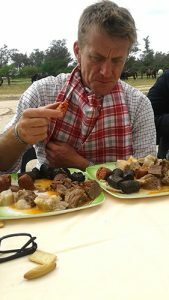 All the riders were tired too, but after the chance to have a hot shower everyone still had room to enjoy the farewell dinner at Alfonso´s home.